Have you just launched a brand new blog? Or are you in the process of revamping your existing website and want to know how to make your blog stand out? If you answered yes to either of these questions, you’ve come to the right place. With the abundance of bloggers in today’s competitive digital landscape, it can be challenging to be truly unique. After all, how are you supposed to drive traffic and build a loyal readership if your blog is just like everybody else’s? There has to be something about your blog that’s different from the rest, something it offers that no other blog does – and something that makes your visitors keep wanting to come back. These 15 simple tips will help your blog to improve and develop that je ne sais quoi, which ultimately results in an increased number of clicks, readers and followers. How to make your blog stand out 101: it’s important to have a unique concept for your blog. It’s difficult to have a unique niche, I get it. I mean, there are only X amount of industries in the world and you only have X amount of passions to write about. However, if you put a unique spin on your niche with a different concept compared to other blogs in the same industry, like a film blogger focusing on only vintage black and white films for example, then you’re sure to make a more lasting impression. It goes without saying that content is still king in the digital age we live in. If you don’t know what to blog about or have the ability to write interesting content that will draw your ideal reader in, then it sounds brutal but you might want to consider another career. After all, blogging is essentially writing online and if your writing is mediocre, then people are simply not going to want to read it. Rather, they’ll choose to look elsewhere for content that’s going to fulfil their needs. It’s all well and good writing a captivating blog post, only to fall short when it comes to creating an attention-grabbing headline. Sure, strong blog headlines aren’t the easiest to craft. They must be short, snappy, punchy and – above all – make the reader want to know more about your topic. That being said, try using a headline writing tool like CoSchedule’s Headline Analyzer. Straightforward to use, this handy little platform will undoubtedly enhance the visibility of your blog posts as well as better your headline writing skills. Imagine you landed on a blog from a post that was doing the rounds on social media. It had a strong headline and was super interesting to read, but then you arrived on the blog and were disappointed to discover that the design was basic and lacked visual appeal. Wouldn’t it completely put you off from ever returning to the blog again? Exactly. Needless to say, you don’t need to have a big, fancy blog design to impress readers. Instead, you can start with a user-friendly theme with an appropriate colour palette, logo and layout – and go from there. I know it’s difficult to have unique blog ideas when there are literally millions of blogs in the world right now. We may all have the same news and trends to follow, but it’s important to look for different angles, find a new approach or offer an opinion when you’re blog writing. Even though it can be tempting with more complex topics, don’t just rehash content from Google as that sure as heck won’t help you to stand out from the competition. Speaking of being original, it’s a great idea to offer your unique perspective in your blog posts through personal stories. We’ve all been taught to love a bit of story time since we were little, so integrating stories into your posts will not only make them more engaging, but they’ll also make them more memorable. Plus, you’re establishing an emotional connection with your reader, which inevitably builds trust and loyalty. Another top tip when it comes to how to make your blog stand out is to work on the presentation of your post. Make your content easy to scan and your reader will love you for it. Why? Well, big blocks of text just won’t wash anymore with the digital reader as they require extra work to read and we all have shorter attention spans. True story. Instead, break your content up with subheadings, lists and bullet points for optimal success. As many of us are very visual beings, we prefer a good image to illustrate what we’re reading rather than a large chunk of text. Another way to break up your content is through images. If they are relevant to your topic while simultaneously offer value to your reader, this will make your blog particularly striking. It doesn’t have to be just images too. Work in graphics, diagrams, screenshots, charts or even video to add that visual element to your posts and effectively draw your reader’s eye. A slightly different spin on how to make your blog stand out, but still significant nevertheless, is the benefit of having a consistent content schedule. I mean, what’s the point in finding an amazing blog, spending time going through the posts and getting to know the author, only for the author not to post for another three months? By the time they get round to it, you’ll have already forgotten all about them. Stay fresh in your readers’ minds by being consistent. No-one’s saying you have to post every day, but post frequently and your audience will surely thank you for it. Don’t forget to catch up with your readers. Contrary to popular opinion, your blog is actually about them – not you. If you treat your readers as friends, comment them back and genuinely make an effort to get to know them, you’ll immediately set your blog apart from the rest. And it goes without saying that readers who are essentially friends will be only too happy to continue following your blogging journey. So many blogs have all the aforementioned elements, create compelling content with beautiful visuals and have an attractive design, but what they lack is a basic understanding of branding. Of course, nobody’s saying that you have to be a branding expert, but your personal branding should be one of your unique selling point’s and reflect who you are as well as what your blog can offer its audience. For instance, which one are you likely to remember: “Katie Davies” or “DreamScribe”? “Freelance writer and blogger” or “turning content dreams into reality”? Try coming up with a diverse tagline or mission statement for your blog and you’ll instantly add another level to your online presence. Another way of how to make your blog stand out? Make your name pop up here, there and everywhere. Don’t just create a blog and that’s it. Join social platforms that are relevant for your niche(s) and then be active across those platforms. If your reader keeps “bumping into you” online and can’t stop seeing your blog name everywhere, then there’ll be more likely to check out your blog and see what all the fuss is about. Fact. Following on from the previous point, if you hang out on social media long enough then you’re sure to bump into other bloggers. There’s a fantastic community across Instagram, Twitter, Facebook and Pinterest specifically – and if your audience sees you connecting with other relevant bloggers then this is only going to give you extra brownie points. Why? 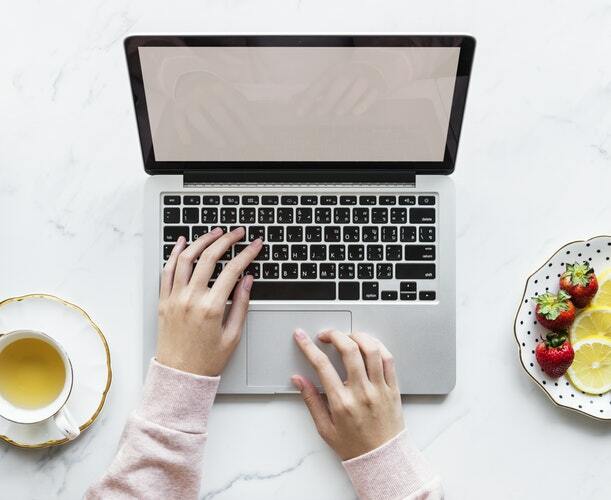 Well, if you connect with an influential blogger who they already follow, then it will arouse their curiosity when it comes to you and your blog – and make them take note. 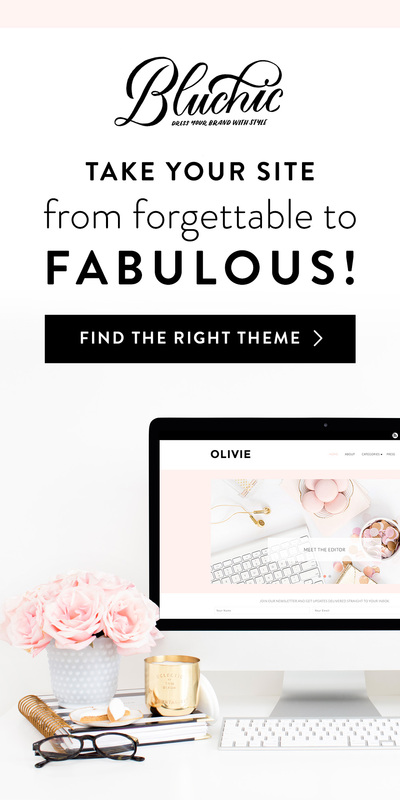 If you really want to know the nitty-gritty when it comes to how to make your blog stand out, listen up. It’s all about persistence, guys. I mean, anybody can launch a blog and produce recurrent content, but not everybody has the ambition and determination to make it a success. 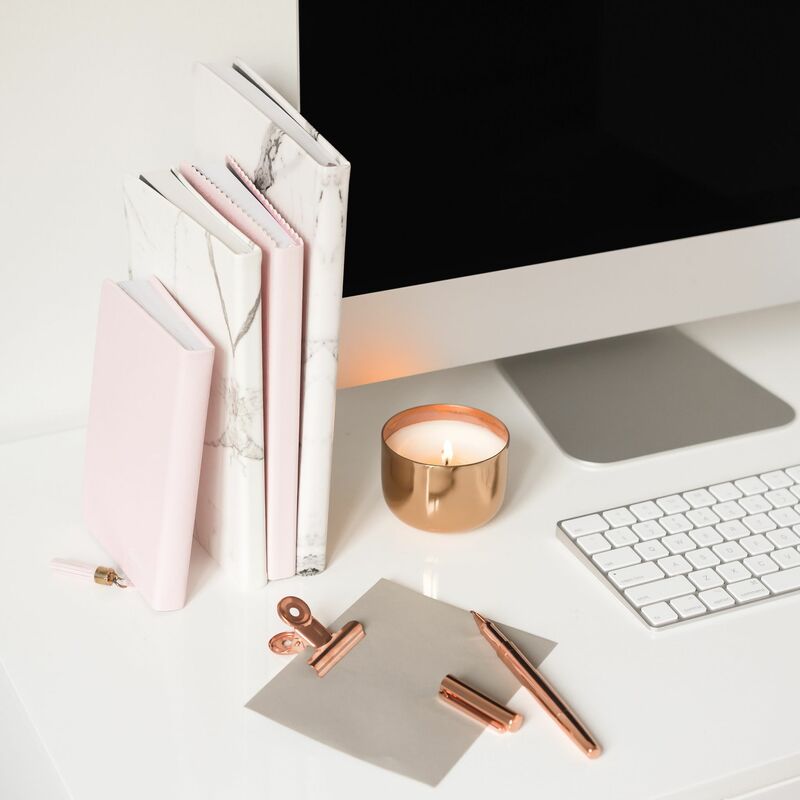 Needless to say, you won’t get your blog to stand out overnight – and it takes a lot of hard work, graft, time and energy to make an impact in the blogging world nowadays. However, if you’re adamant that you’re going to stick around as long as it takes to be noticed, then there’s no reason why you won’t get there in the end. Finally, the best advice I can give you in terms of how to make your blog stand out is to just be yourself. After all, there’s only one you in the world. You have a unique voice and perspective that no one else has. And do you know what? That’s your superpower. Use it to your advantage in your writing and the way you present yourself online and you’ll undeniably earn yourself respect in the blogging community. Embrace your authentic self and be a fresh voice and you’re sure to achieve all your blogging goals. 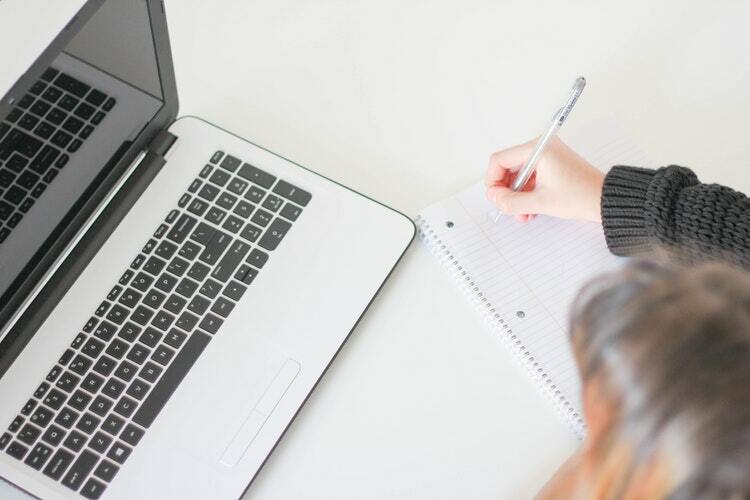 Whether you’ve been blogging a long time or you’re a complete newbie, making your audience sit up and take notice of your blog for all the right reasons is very difficult in the competitive digital age. However, if you’re willing to try different things, stay motivated and step out of your comfort zone every once in a while, then there are no limits as to what you can achieve in the blogging world. 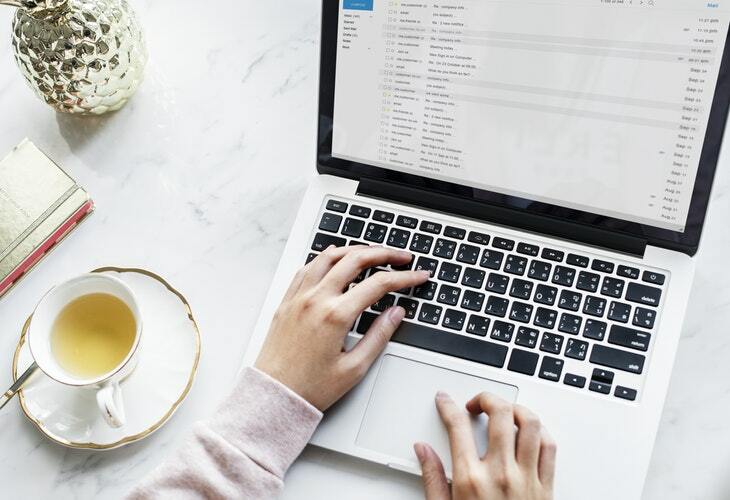 Ultimately, it’s worth the hustle if you’re able to successfully capture the attention of your chosen audience, obtain loyal readers and be considered a thought leader in your blogging niche. What are your top tips in terms of how to make your blog stand out? Let me know in the comments!